Josie Johnson, 88, is not the type to sing her own praises. But her contributions to the civil rights movement cannot be overstated. "Whatever success I may have had, I owe in part to Josie Johnson — her loyalty, her friendship, her council, her commitment. But I am also here to say that the only way to do justice to Josie's life and career — to honor all the progress she has helped to achieve — is to put her accomplishments in a context that is measured not in minutes, but centuries. Josie, you are the Sojourner Truth and Harriet Tubman of our time." 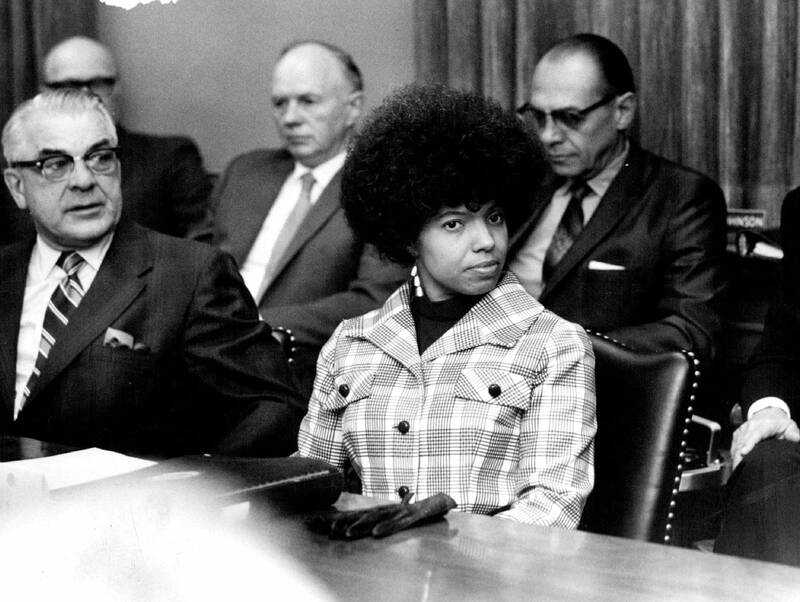 There will be more testaments to Johnson's life and work next week, when the Humphrey School holds a celebration for the launch of her memoir, "Hope in the Struggle." Johnson was born and raised in Texas. She credits her parents and extended family for her strong values and sense of justice. She remembers her father wanted to go to law school, but at the time, there were no graduate programs for black people. "I don't remember him complaining about it or making a big issue out of it," she said. "He just did the next thing that worked for him." That next thing was a job as a waiter aboard the Southern Pacific Railroad, where he soon went about organizing the Sleeping Car Porters and Waiters Union. From there he went on to become a civic-minded businessman with a focus on public housing. 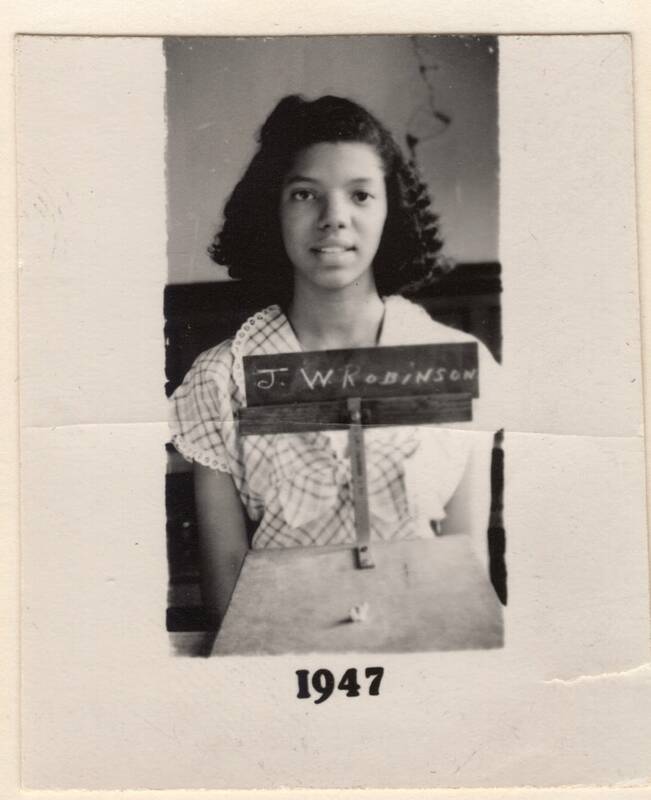 Johnson remembers accompanying him when she was just 14 as he collected signatures to do away with the poll tax, a tax designed to prevent blacks from voting. Similarly, Johnson's mother was also active in the community. Josie would often come along when her mother tutored illiterate white women in their kitchens. "I mean, you did what you needed to do, and it was not something that you gave a lot of thought to," she said. "You did it. You didn't expect anyone to say, 'That's great,' and you didn't expect anyone to feel that you were making some great overture or sacrifice." Johnson majored in sociology at Fisk University, where she met her husband. In 1956, he was hired by Honeywell and the couple moved to Minneapolis. In Minnesota, she quickly realized that racism and inequality were in many ways just as entrenched in the North as in the South. She joined the League of Women Voters and the Board of the Minneapolis NAACP. And she became a community organizer for the Minneapolis Urban League, all while raising her three daughters. Soon she became active in the DFL Party. "She was in many ways the pre-eminent civil rights leader in Minnesota for all those years," recalled former Vice President Walter Mondale. "She'd seen it all." Mondale described Johnson as a very kind and gracious lady. "But underneath all that kindness, there's also a tough Josie Johnson that gets her agenda done," Mondale said. "If you want to fight with her, she'll be very nice about it, but you'll be sorry you got in a fight because you're going to lose." Mondale said Johnson navigated Minnesota through some of its roughest times in the '60s and early '70s, helping the white and black communities to understand each other and work together. "She had a genius for that," he said. "And when we'd meet, she'd say, 'This is what we've got to do to resolve this,' and she would see that I would try to get the white community to do it and she would try to get the black community to do it, and many times it worked." Johnson became a master at behind-the-scenes politicking. When she realized the fair housing bill she was lobbying for was foundering in a state Senate committee, she paid a personal visit to Gov. Elmer Andersen. While she sat in his office, he wrote a note to the committee that tipped the scales in the bill's favor. Minnesota was the first state in the nation to pass such a bill. 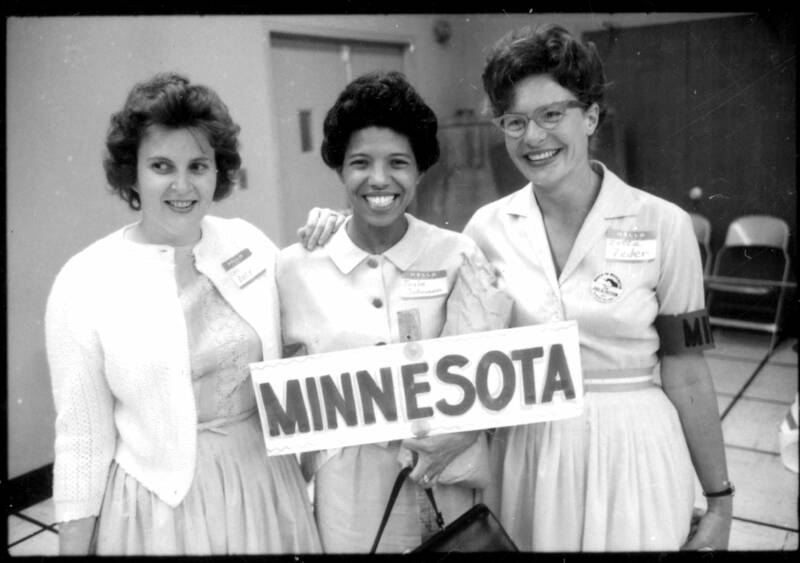 In 1963, Johnson was part of the Minnesota delegation that marched on Washington and heard Martin Luther King Jr.'s "I Have a Dream" speech. In 1964, she joined the "Wednesdays in Mississippi" movement. Small groups of women made their way to Mississippi each week, bringing support and supplies to civil rights workers and black families who were facing harassment and violence as they fought to end segregation. "She knew that it's very possible with all the violence going on down there that she wouldn't come back," said Carolyn Holbrook, one of Johnson's co-authors. "She knew that, and her husband and her children knew it." Indeed, a school Johnson visited in Vicksburg, Miss., was bombed later that same day. But the Wednesdays in Mississippi program was effective — it contributed significantly to the passing of the Voting Rights Act in 1965. In the late '60s and early '70s, Johnson turned much of her attention to education, working on the creation of an African American Studies department at the University of Minnesota. 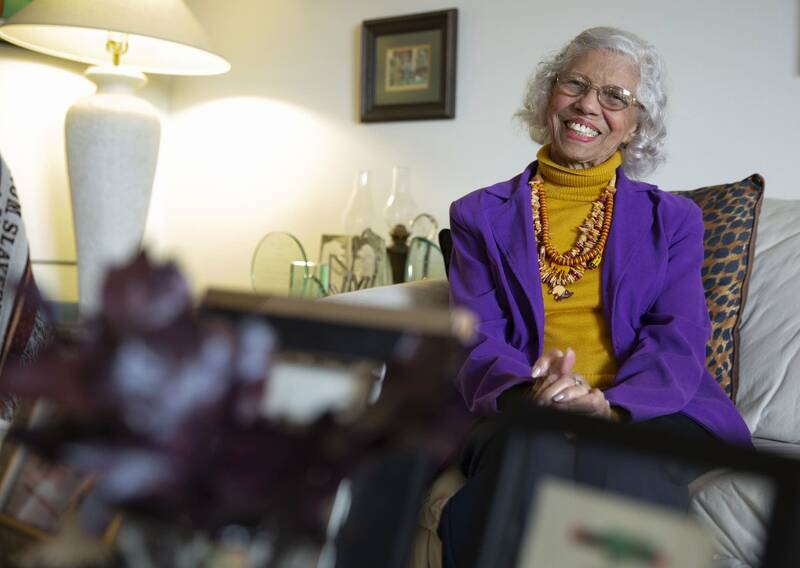 She was the first black woman to serve on the university's Board of Regents. "In the context of politics, in the context of education, in the context of the history of the state and housing legislation, Josie's love of black people is manifest in so many areas of her work," said Arleta Little, another co-author of "Hope in the Struggle." Little said Johnson's life is a testament to what can be accomplished when a person uses what agency she has to help her community. Little said the secret to Johnson's strength is that it is grounded in love and kindness, "which you don't often associate with power." "So much of the progress that Josie's been a part of she's brought grace and love to her contribution at those various points and movements," Little said, "and that's not often what we recognize as being necessary for making change. To be tenacious and gentle — I think that's an amazing quality of Josie's." 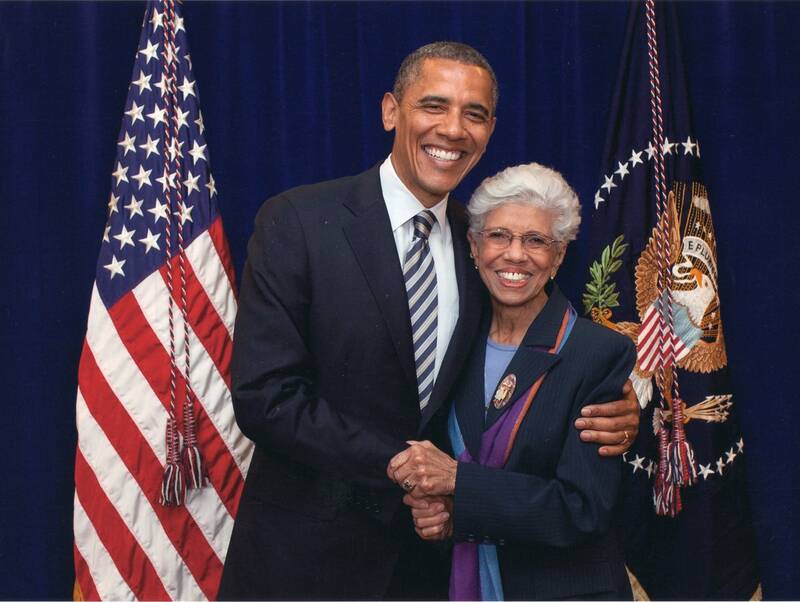 Josie Johnson said one of her most cherished memories is of attending the 2008 Democratic National Convention where, as a superdelegate from Minnesota, she cast her vote to nominate Barack Obama as the Democratic Party's presidential candidate. "What a moment, what a moment! That'll go down in my memory book forever, to be a part of that," she said. At first, Obama's election seemed like a crowning achievement for the civil rights movement. But it quickly became clear, said Johnson, that white supremacy was more deeply etched in the American psyche than anyone had realized. Ten years later, she is frustrated by how much progress has been lost on so many fronts. She cites President Trump's undoing of many of Obama's rules and regulations, and the increase in hate crimes against people of color. And despite her efforts on education, Minnesota still has one of the highest achievement gaps in the nation between white and black students. "I try not to be discouraged, but I must admit I feel very troubled and worried about it," she said. When she feels hopeless, she draws on the strength and faith of her ancestors. "If our early ancestors could survive what they had to survive, then surely I can continue to hold my head up and live in the tradition of my ancestors," she said. "And say to my children, 'Yes, you can be a part of this struggle.'" Johnson said she believes the black community — because of all her people have been through — can offer the nation a model for democracy and freedom, justice and opportunity. And that's something that will always be worth fighting for. Correction (April 3, 2019): An earlier version of this story incorrectly identified the Humphrey School.